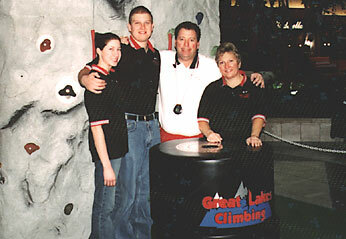 The Great Lakes Climbing portable climbing wall features the patented "AutoBelay" system. The AutoBelay is a hydraulic safety system that is completely redundant, not power dependent and provides a completely safe climb. That leaves our Climb Master to concentrate on coaching you and making sure you have the best climb possible, without compromising your safety. Our wall complies with American Society for Testing Materials (ASTM) F-24 standards for Amusement Rides and exceeds all national standards for portable climbing wall activites. Great Lakes Climbing, LLC, is fully insured and, at your request, we will gladly supply a certificate naming your event, sponsor and/or event site location as an additional insured on our policy. 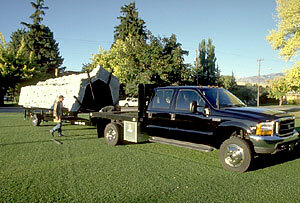 We feature brand-new, state of the art equipment and trained operators. References available upon request.